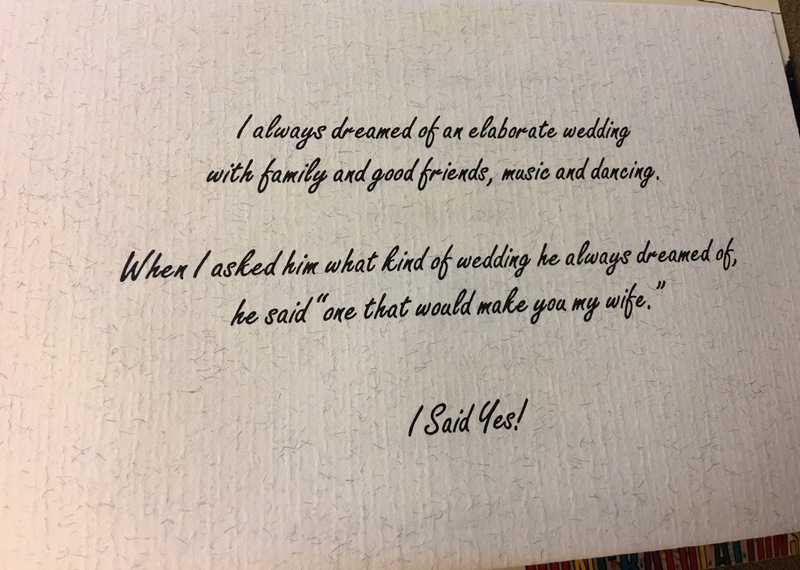 When Joe asked me to marry him we imagined a pretty big wedding, hoping to have it at the Italian Community Center. Joe’s grandparents helped build it after-all. The one thing stopping us from putting down a deposit was the cost! But we were determined to make it work! At the time I worked for Sear’s & Roebucks sales department. I was the Manager of the Maintenance Agreement department. In total I had 130 employees, my office was open from 9:00 am – 9:00 pm! I was there a lot, trying to be available for both shifts, so I could get to know both the day and night shift employees. My employees did such a great job for us that our division won an award for outstanding sales and retention. That meant I was going on an all expense paid vacation (with 30 of my closest co-workers from the Midwest division) to Las Vegas! The trip was scheduled from Tuesday-Thursday. After much consideration Joe asked me if I’d like to get married in Las Vegas while we were there! We could come back and have a party for our relatives and friends. Great idea, I said yes! One of my employees, Ada, was Italian, and she just loved Joe! I mean, who wouldn’t, he brought me flowers to work, all the time, and would always stop and say hi to her. The week before we were to leave some of my employees gave me a wedding shower. 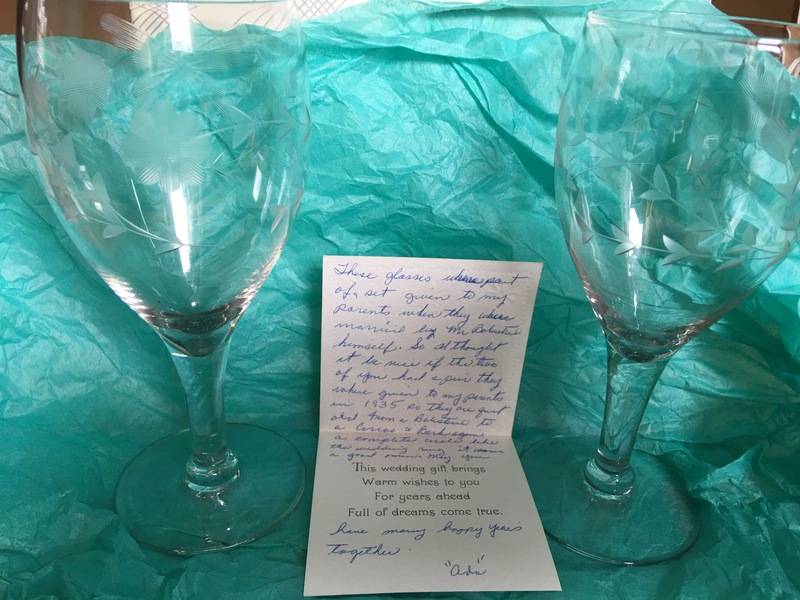 The most memorable gift was from Ada, as it was a set of crystal wine glasses with a special meaning. If I could only find her to tell her that we are celebrating 25 years!